Whether traveling to become immersed in a big city or to become one with nature, Pennsylvania is the perfect place to go to get the best of both worlds. Check out the list below of the top 5 cities to visit in Pennsylvania along with things to do and see while in town. Pittsburgh Zoo– Visit one of the 6 major zoo and aquariums in the US that houses 4,000 animals that represent 475 species. Heinz Field– Visit or catch a game at the home of the Pittsburgh Steelers! PNC Park– Catch a game at this ballpark, home to the Pittsburgh Pirates. Andy Warhol Museum– Explore the largest museum in the US dedicated to just one artist. This museum is built where Andy Warhol grew up and features an extensive amount of his artwork. Point State Park- Commemorates the battles that took place during the French and Indian War. The park houses one of the country’s largest fountains. Phipps Conservatory– Walk through a 13-room Victorian glasshouse that has something new every season. The many gardens include a Japanese, perennial, aquatic and children’s themed gardens. See butterflies and birds at the Discovery Garden. Carnegie Museum– Visit one of Pittsburgh’s most internationally recognized institutions that houses Impressionist, post-Impressionist, American and European paintings over the past two centuries and more. Duquesne Incline– Take a ride up this cable car to get an amazing view of the city. Duquesne Incline is also a museum where the upper station houses the history of the incline. Hershey Chocolate World– Take a tour, create your own candy bar, watch a 4D chocolate mystery and more at this sweet attraction. ZooAmerica– A walk-through zoo featuring North American Wildlife from five regions of North America. The Hershey Story– Visit the informative and interactive museum dedicated to the history and legacy of Milton S. Hershey and the chocolate candies he invented. One of the exhibits is the Chocolate Lab where you learn about the ingredients and how to make Hershey’s chocolate. You also get to make some chocolate creations yourself. Indian Echo Caverns– Take a tour and experience the limestone caves and the wildlife that lives inside the many rooms of the cavern- truly a geological wonder! Hersheypark– Ride one of the many roller coasters and amusement park rides at this fun, family themed park. Troegs Brewing Company– Take a tour of the brewery and experience how the beer is made. Don’t forget to stop by the tasting room and the snack bar. and developing the natural area. Franklin Institute Science Museum– A science museum and center of science education and research that provides learning through hands-on exhibits, live shows and more that was named in honor of Benjamin Franklin. The museum also houses the Benjamin Franklin National Memorial. Philadelphia Museum of Art– One of the largest art museums in the US. The front of the museum has the Rocky steps that appeared in the movie Rocky. Lincoln Financial Field– Catch a game or visit the home stadium of NFL’s Philadelphia Eagles. 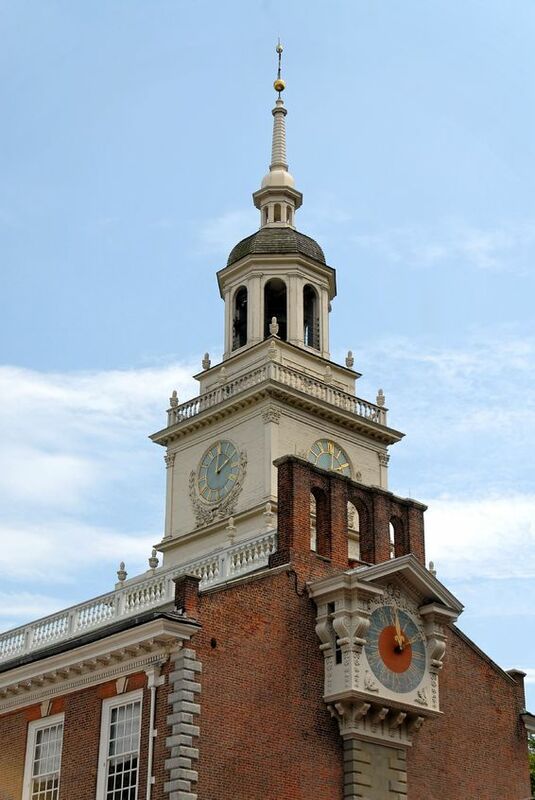 Independence Hall– Tour the building where both the United States Declaration of Independence and the United States Constitution were signed by our Founding Fathers. Independence Hall can be found in the center of Independence National Historical Park which preserves several sites associated with the American Revolution and the nation’s founding history. Liberty Bell– See the Liberty Bell, an iconic symbol of American independence. Philadelphia Zoo– Visit one of America’s first zoo’s. Longwood Gardens– See one of the world’s greatest gardens with beautiful fountains, architecture and exhibits. National Constitution Center– This center hosts interactive exhibitions, theatrical performances, and constitutional conversations/debates. Citizens Bank Ball Park– Visit the stadium, home to the Philadelphia Phillies. Sesame Place– A Sesame Street themed children’s amusement park with rides, shows, and water attractions for young children. LOVE Park– A favorite destination to visit that’s holds a famous sculpture. Located in John F. Kennedy Plaza. Dutch Wonderland Family Amusement Park– A fun-filled amusement park for kids and families with rides, roller coasters, slides, a water play area, a castle and live entertainment. Amish Farm & House –Take a countryside bus tour of the beautiful Amish Country. After the tour, check out the gift shop for hundreds of locally-made items. AAA Buggy Rides – Take a AAA (All About Amish) Buggy Tour through the beautiful Amish country. Bird-in-hand Farmers Market – The Bird-in-Hand Farmers Market features tons of delicious offerings, including fresh meats, cheeses, baked goods, fresh-squeezed lemonade, apple cider, rows of homemade canned goods, locally made crafts, quilts and more! The Amish Village – Take a tour of the authentic Amish lifestyle, including 12 scenic acres of properties, which include a school house, barn, blacksmith shop, smokehouse and more. Rainbow Dinner Theater– Now Known as Rainbow Comedy Playhouse. a great place to enjoy a comedy show and a full meal! Dutch Apple Dinner Theater– Enjoy a great show/musical as well as a delicious dinner. Chillisquaque, wildlife ponds, meadows, the Devonian fossil pit, a maple sugar shack and more. Knoebels Amusement Park – America’s Largest Free-Admission Amusement Park that is filled with classic roller coasters, swimming, camping, golf and more! Spyglass Ridge Winery – A family owned and operated vineyard and winery that produces red, white, blush, and fruit wines. Pioneer Tunnel (coal mine tour) & Steam Train Adventure – Ride into the Pioneer Tunnel on a mine car and experience a real anthracite coal mine. Hiawatha River Paddle Boat Tour– Enjoy a paddle-wheel excursion boat that cruises up and down the Susquehanna River.